This is a Nonsmoking 18+ event. The event will be private for members, invitees, sponsors and speakers, and those with tickets. 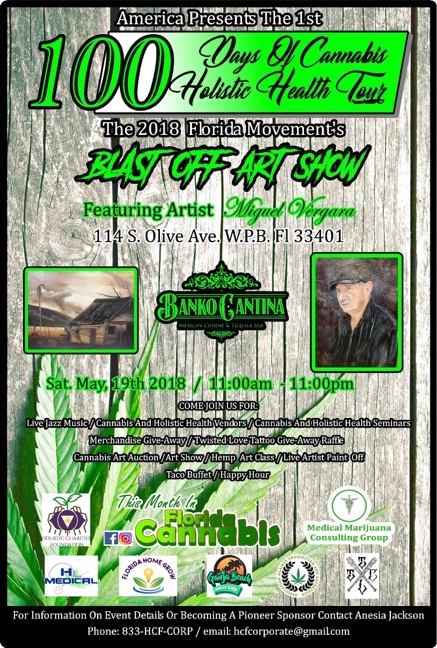 There will be Cannabis and Holistic Health seminars given by professionals and an art show with professional art on display and for sale, as well as a local artist paint-off during the event. The winner of the painting (majority vote) will get the opportunity to display their art throughout the tour. Twisted Love Tattoo Collective will be present to raffle tattoo discounts and giveaways, and to participate in the live artist paint-off. All raffle proceeds go towards artwork supplies and funds for the Tour operation.